Morningside will take on the Western Magpies at Coorparoo this Sunday in the Sports Ready Under 18 Division 1 Grand Final. 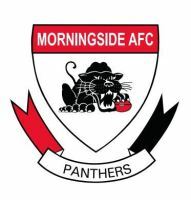 The Panthers have had the advantage of a weeks break having accounted for the Magpies at home a fortnight ago at Esplen Oval. The teams have met on three occasions this season with the Panthers winning by 25 points in round 5, 16 points in round 8 and 48 points in the Qualifying Final. Despite the lopsided results coach Brad Edwards will be taking nothing for granted as he prepairs the Panthers for their first Grand Final apperance since 2006.